SplashPad Texas® at Park Lakes® includes a beach-entry splash pool with slide and spray features, large shade structures, children’s playscape, and a soccer field. Canyon Gate at Park Lakes has a $2.9 million recreation estate that centers around an enchanting Country French Clubhouse. 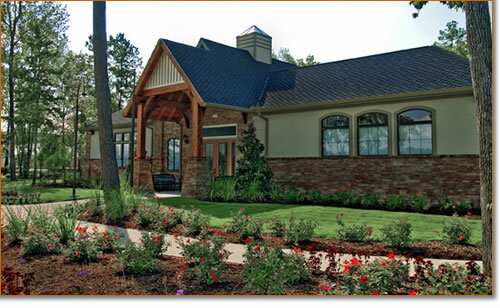 The clubhouse draws residents in with its inviting covered porches and charming country style. Just off the large gathering room is a fully-operational kitchen with a pass-through serving bar leading to the pool area. The clubhouse grounds include a well-rounded group of outdoor amenities, such as a Jr. Olympic-size pool, a toddler splash pool, and children’s playground. 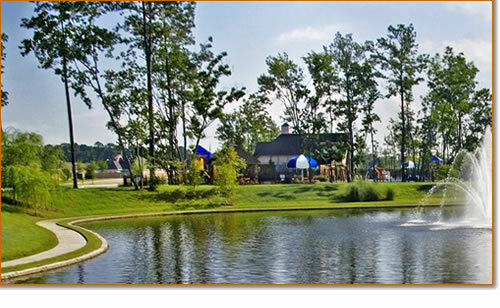 The recreation property also includes the Lake Club Pavilion and a large basketball entertainment pavilion. Tennis Courts are another amenity just past the recreation center where it dead ends off Canyon Trace Dr.